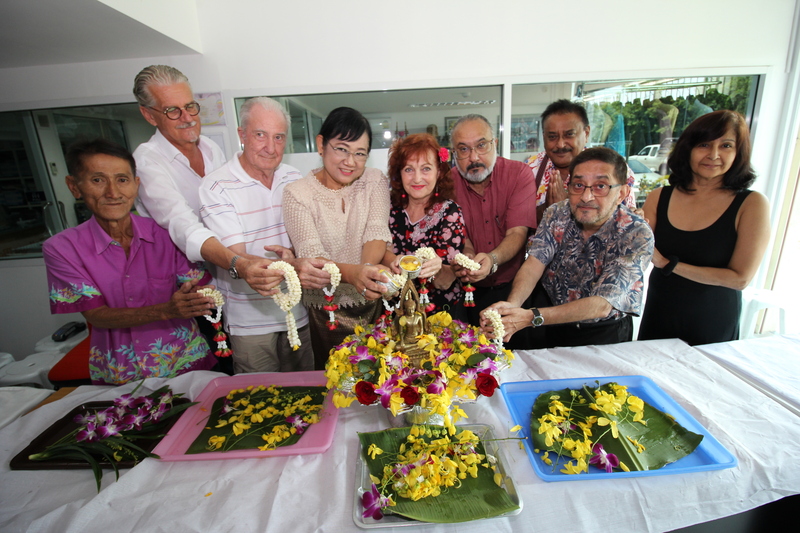 The Pattaya Mail Media Group took time out from producing this week’s newspaper to celebrate Songkran with a traditional Rod Nam Dum Hua ceremony. 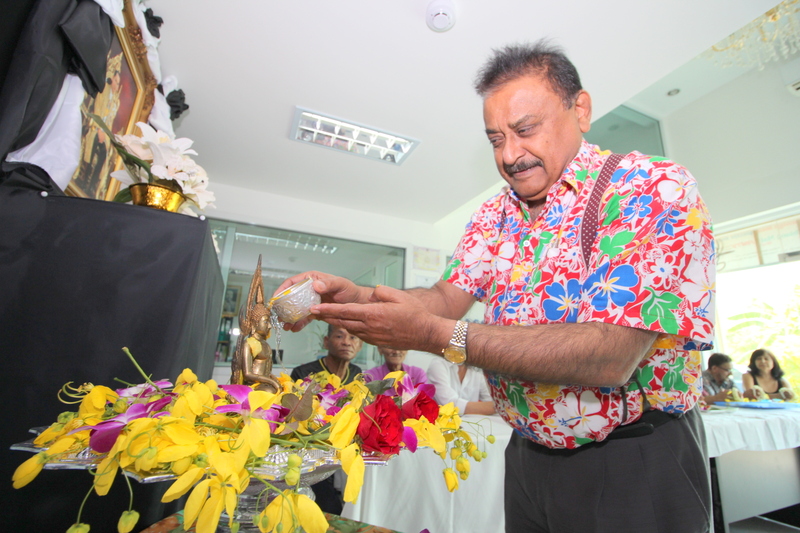 Managing Director Peter Malhotra led the April 15 water ceremony, which has been done annually for the Pattaya Mail’s 24 years. 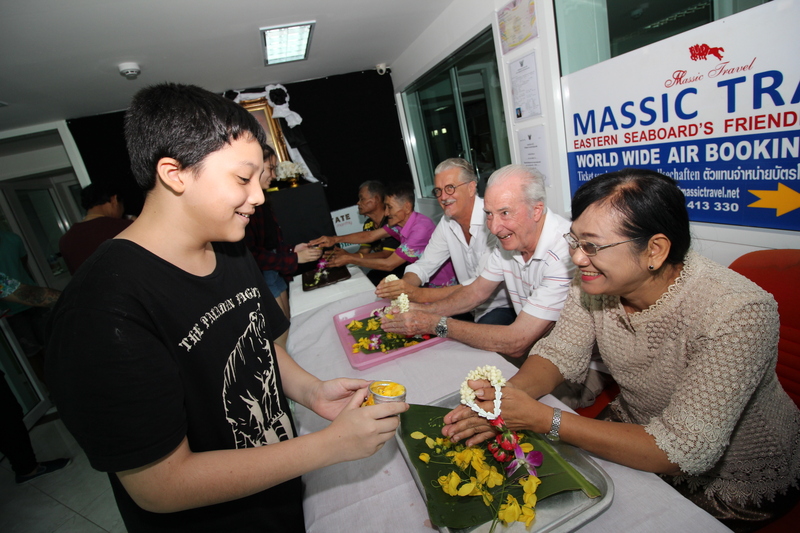 Pratheep Malhotra initiates the ceremonies by bathing the family-revered Phra Buddha Chinnarat. The family adorns the sacred Buddha with flowers, garlands and perfumed water. Peter pays his respects to his brothers Bill and Marlowe and sister Sue Kukarja. 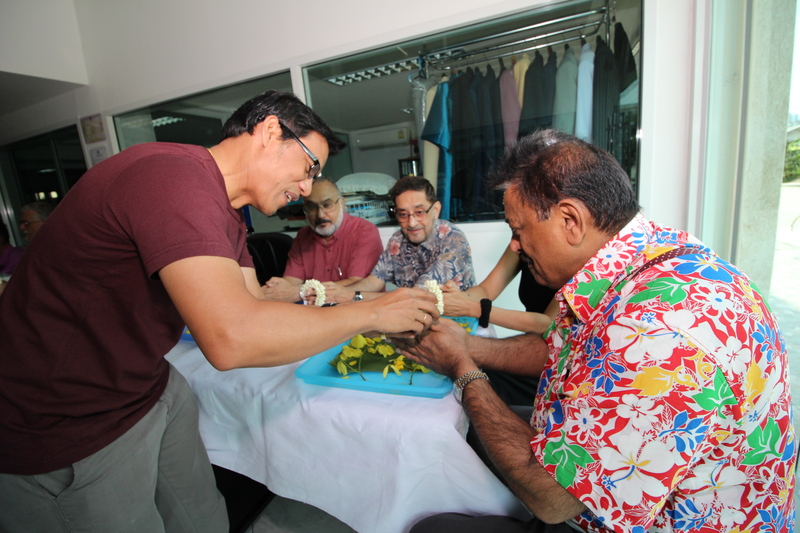 Rotary District Governor-elect pours lustral water on the hands of PDG Peter Malhotra who gives his blessings in return. The Pattaya Mail familygather for a group photograph after the ceremonies. Younger staff members showed respect for veteran journalists and executives by pouring scented water over their hands. The elders included Marlowe Malhotra, Dr. Iain Corness, Bill Malhotra, Sue Kukarja, Elfi Seitz, Boonlue Chatree and Chamlong Timsaithong. 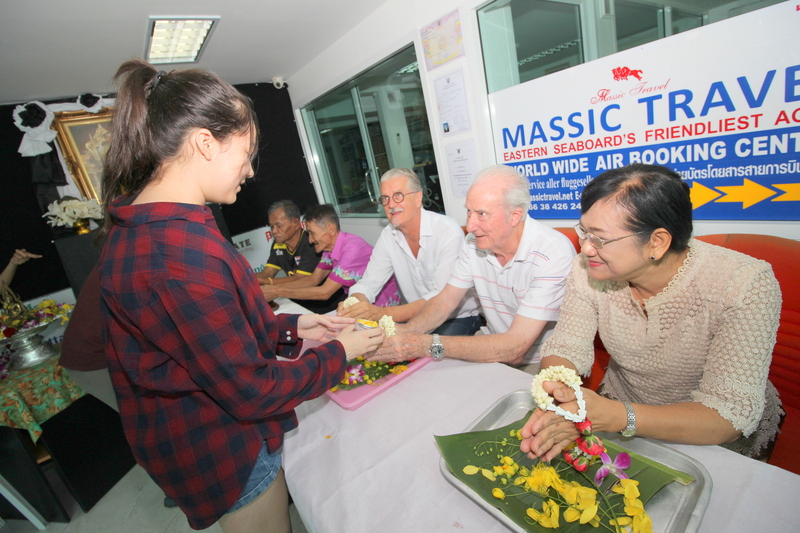 Rotary District Governor Elect Onanong Siripornmanut and Joachim Klemm of GO Property Thailand were also invited to sit in a place of honour. 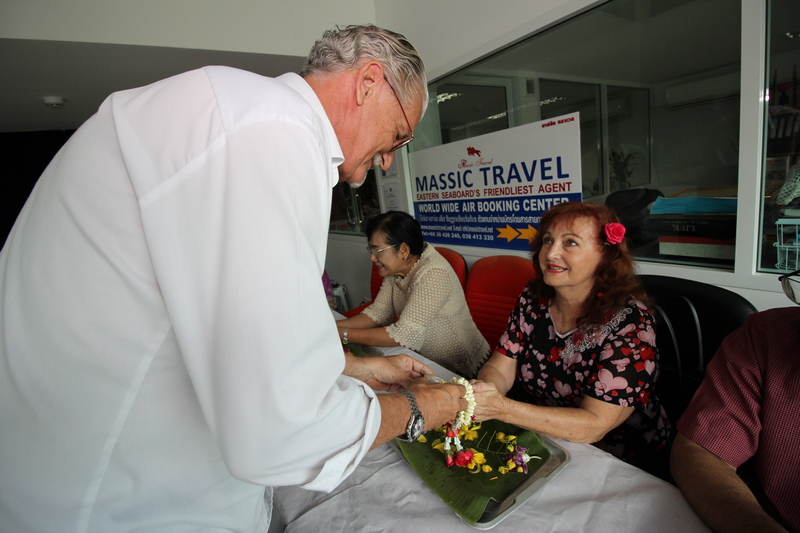 Thanawat Suansuk receives blessings from Jo Klemm and Dr. Iain Corness. 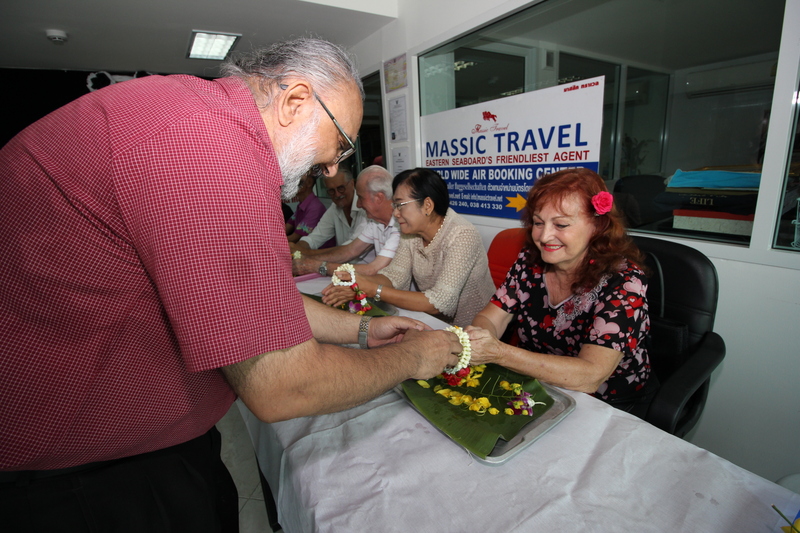 Bill Malhotra pours sacred water on Elfi’s hands in return for her blessings. Sue lovingly pours scented water on her brother Peter’s hands. The senior family members gave their blessings and wished the younger staff good health and prosperity in the new year. 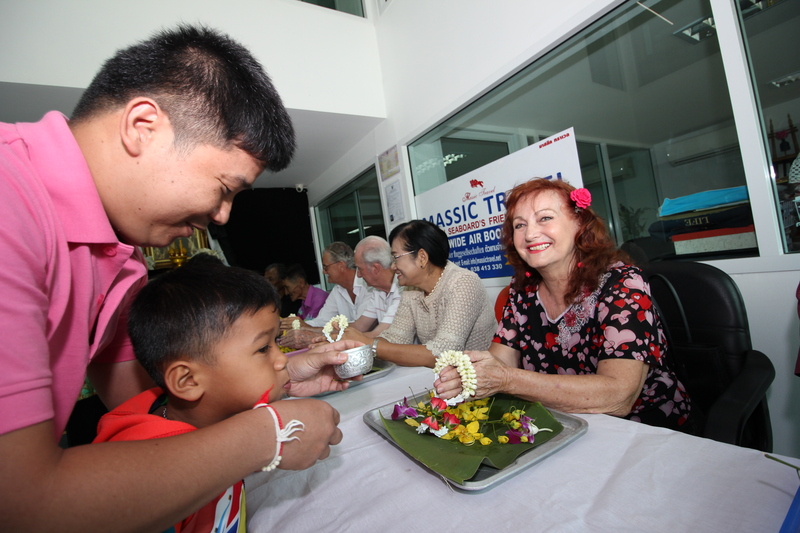 Afterward everyone enjoyed a Songkran party with food and drinks, then went back to work producing this week’s issue. 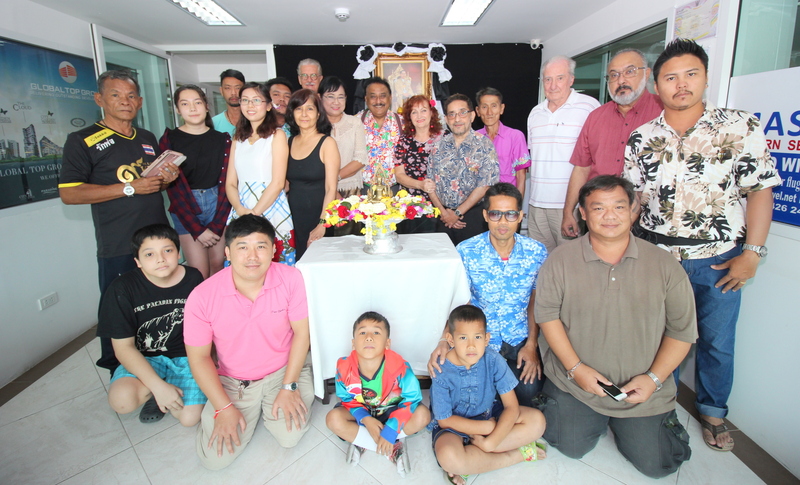 It was a happy and blessed day for the entire Pattaya Mail family and loving friends.